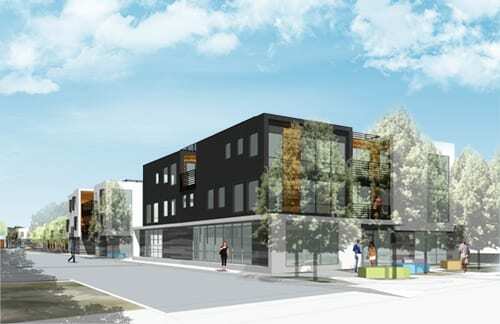 Currently under construction, Carson Arts Colony is a 46-unit affordable apartment community for artists and families in Carson, California. The arts-centric new development will feature an on-site professional-scale art gallery, which will showcase resident artwork, large artist and maker studio spaces, artistic work areas with shared art tools and materials, and a kiln for pottery. In addition to these art features, Meta Housing has partnered with service coordinator, EngAGE, who will provide a host of free art classes to residents including painting, photography, writing, and computer-based arts, among others. Carson Arts Colony will offer one-, two-, and three-bedroom floorplans and will be constructed to Green Point rated standards. The property is planned to feature a picnic area, edible container garden, on-site gym and laundry room, a large courtyard, a spacious community room, a kids play area, and bicycle storage.